For safe installation and operation, carefully read all the information stated below. DO NOT disconnect the power supply while the system is booting up. Be aware of engine ignition switching for they may disconnect power for a short period of time. 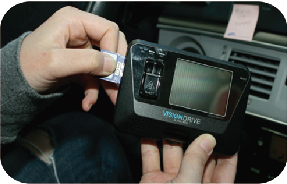 It is recommended to only use authorized SD cards with the VisionDrive® products. Install the product after parking your vehicle in a bright and safe area. Use the power cable provided with the product for the cigarette lighter power connection for power in the range of DC12V to DC24V. If power wiring is involved, we recommend a professional service for the installation. Prior to the installation, clean the area of the installation where the camera will be positioned. 1. Assemble the bracket and the main unit. 2. Connect the external optional camera and to the main unit. Insert the SD card as shown in the picture. When ejecting the SD card from the unit, turn off the main power completely, and then push in the SD card. The SD card will pop out when pushed in. Use of force or other methods to eject the SD card may defect the SD card. 4. Connect cable and attach on windshield. Clean the area on the windshield where the unit will be placed. 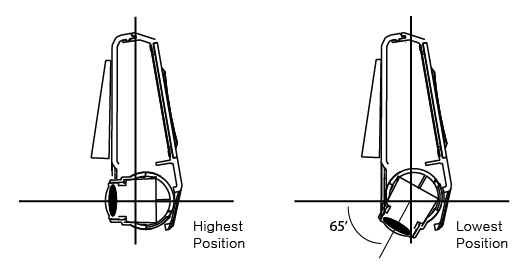 For the placement of the unit, it is better to place the unit closer to the center of the vehicle. 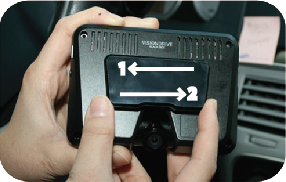 If the unit is installed on the right side of the rear-view mirror, make sure there is room to detach the unit if needed. 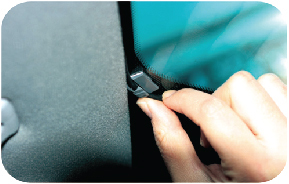 Also be aware of window tinting or other window coatings/shielding which may affect camera visibility. The adhesive on the bracket is very strong. Partially remove the cover of the adhesive, and then use the full adhesive surface area for final installation. 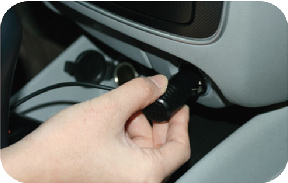 Insert the cigarette jack into an appropriate outlet then turn on the engine. When the power is on, the LEDs and the LCD will be turned on with voice notification. Blinking of LED lamps means that the system booting has succeeded. DO NOT turn off the power source while the system boot is in progress. This may harm the product. 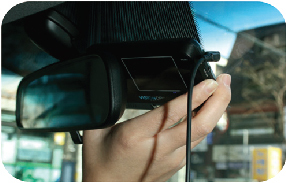 Camera is adjustable and can be rotated 65 degrees to cover desired recording areas. The GPS lamp is red when the GPS signal is not received and blue when it is received. 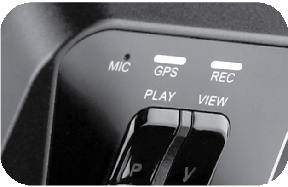 The GPS connection may take a couple of seconds to several minutes, depending on the location of your vehicle. The REC lamp is blue when it is recording. It is blue when it is recording a (NORMAL) file and red when recording an (EVENT) file after an impact or if the SHOT button has been pressed. Use the includedwire holders to organize the cables.